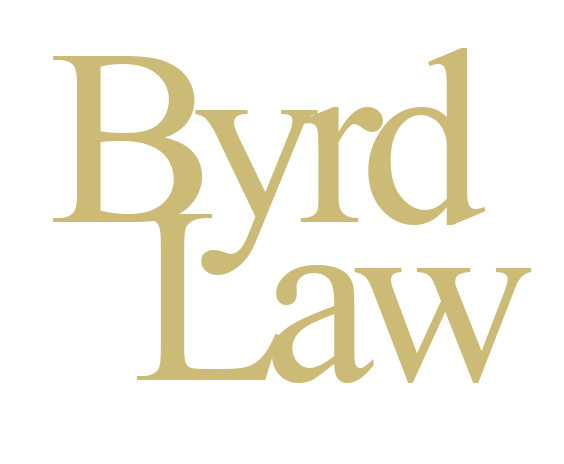 The Florida Bar considers Mr. Byrd an “expert” in criminal trial law. This is the highest level of recognition given by the Florida Bar. Board Certification is based on competency & experience within a defined area of law. Mr. Byrd has held this honor since 2002. 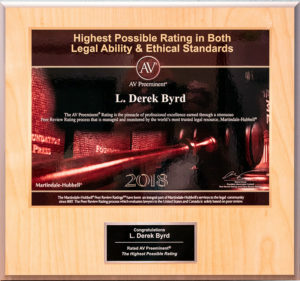 The AV Preeminent ® Rating is the pinnacle of professional excellence earned through a strenuous Peer Review Rating process that is managed and monitored by the world’s most trusted legal resource. 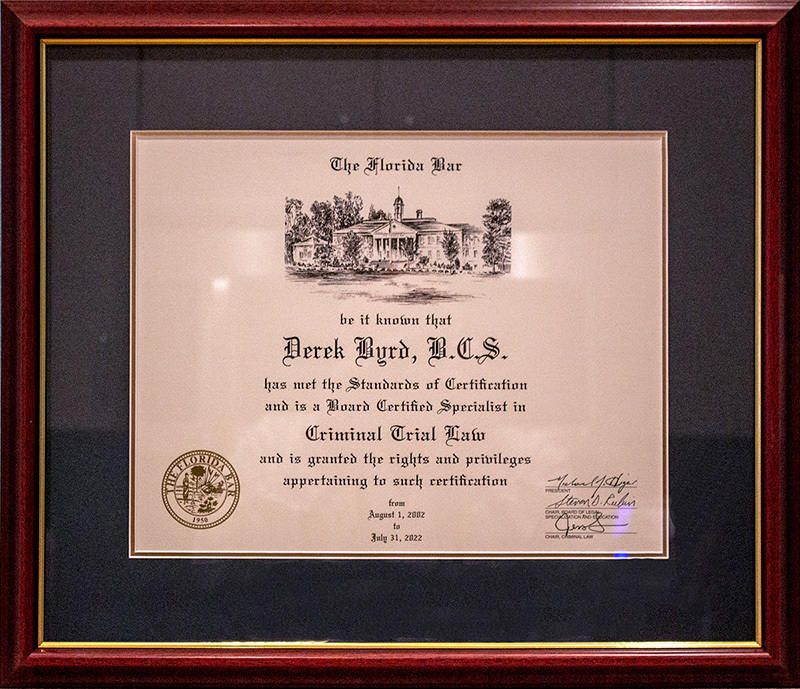 This recognition is awarded to only those lawyers with the highest ethical standards and professional ability. 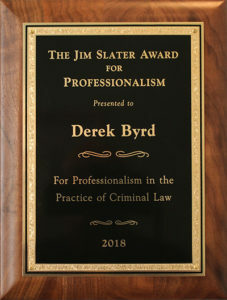 The recipient of the Jim Slater Award for Professionalism in the practice of Criminal Law is selected by the Judges of the 12th Judicial Circuit and is the only award presented by our local judiciary. This award is based solely on peer review and reflects the opinion of leading lawyers about the professional abilities of their colleagues within the same geographical area and practice area. 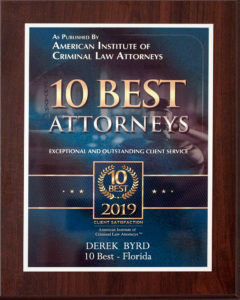 The Best Lawyers in America accolade indicates that Mr. Byrd is considered to be in the top 5% of practicing lawyers in the United States in the legal field of Criminal Defense. An exclusive list of the “10 Best” Attorneys for each State who must have attained the highest degree of professional achievement in his/her field of law and have an impeccable client satisfaction rating. 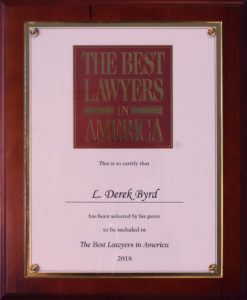 This is a prestigious honor for Mr. Byrd as it confirms that he has achieved unparalleled success for the benefit of his clients. 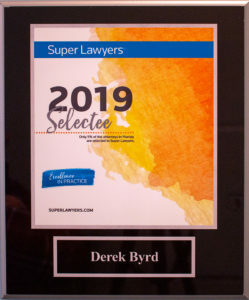 After having been evaluated on 12 indicators of peer recognition and professional achievement, Mr. Byrd’s inclusion in Super Lawyers indicates that he is considered to be in the top 5% of all attorneys in the State of Florida.